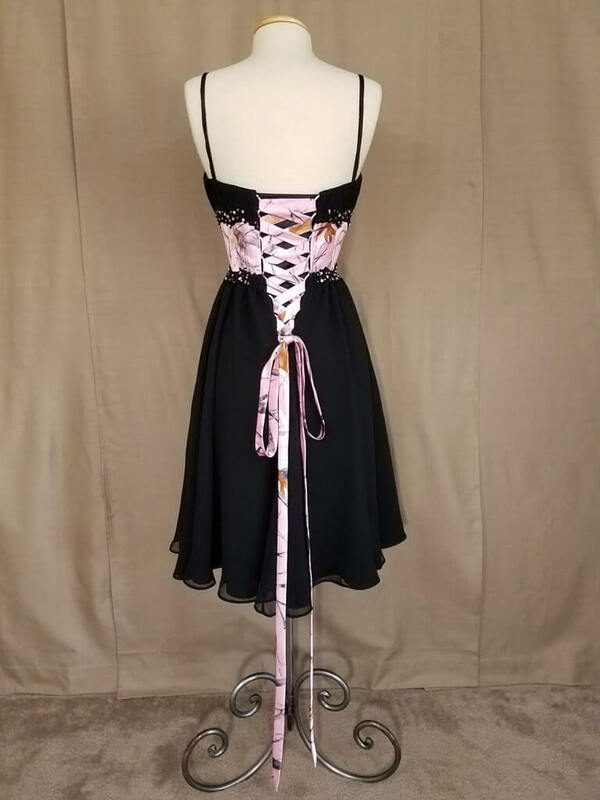 “This brand new, in-stock size 8 HARPER dress features a straight across neckline with a ruched bodice and attached straps in black chiffon. 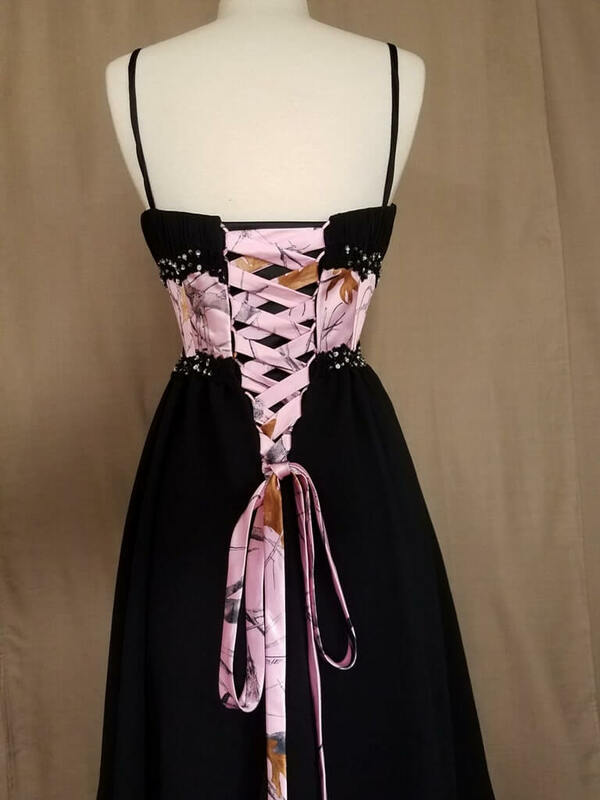 It has a full corset back, lace-up ties, and camo inset at the waist in True Timber Pink Snowfall. The fully detachable modesty panel is in black. 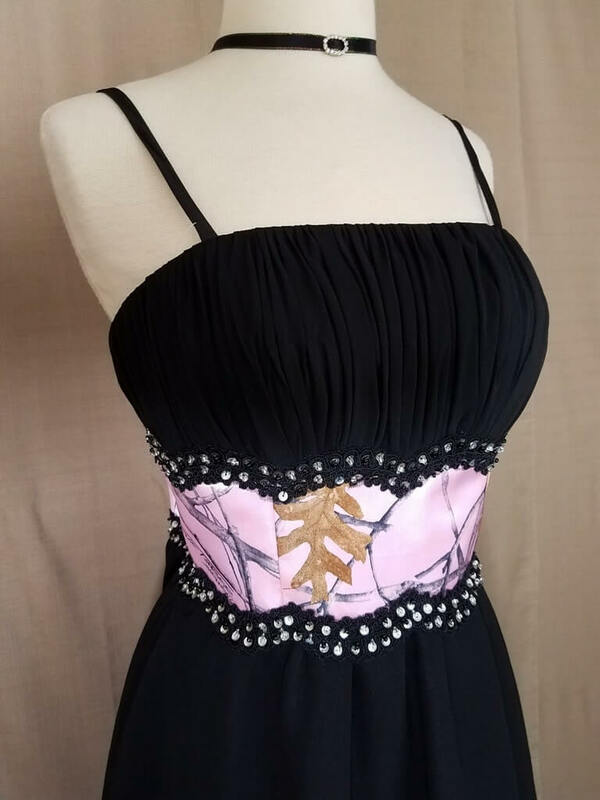 The top and bottom of the camo inset features a lace edging with hand sewn sequins for added sparkle. The full skirt is lined in black with flowing black chiffon fabric. The HARPER dress comes fully lined with built-up bra cups and straps, triple layered fabric, full lining, and 8-12 bones for support.